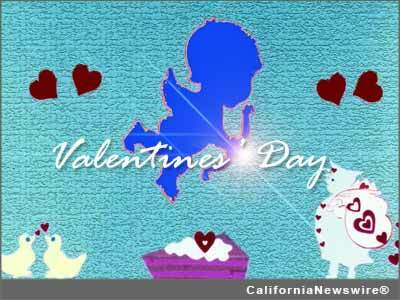 LOS ANGELES, Calif. /California Newswire/ — When it comes time for February 14, Valentines Day, most people think of romance, flowers, candy, and candlelit dinners. But children also celebrate by sending and receiving valentines, dreaming up DIY projects for their parents, siblings, and teachers — and they are definitely pleased about the candy! Ruth Roberts Music also brings something sweet for the occasion. "Children's parties are a way to celebrate this delightful holiday and that's where Ruth Roberts Music can help," states Susan Nicoletti, Director of Operations for Goldenrod Music, the publishing company overseeing Roberts' songs. She is pleased to direct parents and teachers to the album "Valentine Songs That Tickle Your Funny Bone," available on iTunes. "When Ruth Roberts put the finishing touches on her series of children's albums for all major American holidays, she included Valentine's Day as worthy of celebration by the little ones," Nicoletti says. "Ruth knew how much children enjoyed a day that put love front and center, and she figured — rightly so — that they would want to celebrate it in song." The songs in this collection are designed to be fun for everyone, even the very youngest family members. "Good old-fashioned sing-alongs never go out of style," Nicoletti adds. "And in addition to being cute songs, they are all Rated G for all audiences," Nicoletti states. She has an excellent idea of what "G-Rated" means because for 5 years prior to working with Ruth Roberts Music she was on the ratings board for the Motion Picture Association of America. Several songs by Ruth Roberts are known to every sports fan: "Meet the Mets," "It's a Beautiful Day for a Ball Game," and "Mr. Touchdown, USA." Her love songs hit the charts in recordings by Dean Martin, Debbie Reynolds, Theresa Brewer, Jimmy Dean, The McGuire Sisters, Patti Page, Vic Damone, Arthur Godfrey, Steve Allen and Eydie Gorme." Movie and TV viewers have heard Roberts' songs in "Yes Man," "The Benchwarmer," "A Dirty Shame," "Everybody Loves Raymond," "Seinfeld," and the Conan O'Brien show. The Beatles recorded Roberts' song "Mailman Bring Me No More Blues," which is on the Anthology 3 album. But it is for children's music that Ruth Roberts may be best known, starting with her work with Bob Keeshan, who was the TV icon Captain Kangaroo. "Teachers and educators can discover more about the many musicals written by Ruth Roberts for a K-through-grade-6 curriculum," states Nicoletti. For more information about Ruth Roberts and her music for children, families, and sports fans, please visit http://www.ruthrobertsmusic.com/ and for an interview with Susan Nicoletti, please contact John Scott G of G-Man Marketing at 818-223-8486.